Victoria’s historic Old Beechworth Gaol site is now more environmentally friendly and cheaper to run thanks to the addition of solar panels. Old Beechworth Gaol is probably most famous for its association with bushranger Ned Kelly and his family. It housed Mr. Kelly, Ned’s mother Ellen, his brother Dan, the rest of the Kelly gang and many of its sympathisers. Back in 2016, a community consortium purchased the heritage site with view to transforming it into a community space for the social and economic benefit of the region. 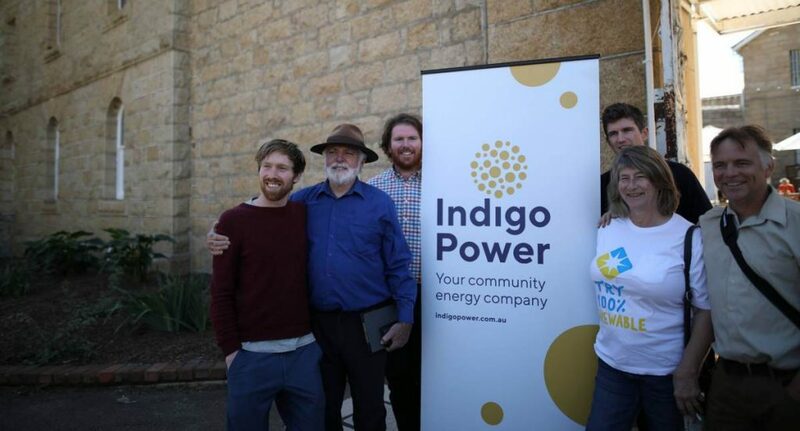 Last Friday, Indigo Power unveiled a solar power system installed at the site, which is the first community owned solar installation in North East Victoria. The 30kW system consists of 89 solar panels and will generate equivalent to 55% of the site’s electricity requirements. Indigo Power has contracted with Old Beechworth Gaol building owners, Australian Centre for Rural Entrepreneurship, to sell the energy generated to the facility at a reduced rate – expected to result in savings of around $1,000 a year. After approximately 10 years, the system will then be handed over to the site owners. “It makes a lot of sense, in that the community can come together and buy shares, offset that upfront capital cost, get the solar panels on the roof, deliver an immediate electricity saving for the host site while recovering the capital costs and then pass the system on,” said Indigo Power Manager Ben McGowan. Mr McGowan is also part of Totally Renewable Yackandandah (TRY), which Indigo Power evolved from in collaboration with Mondo Power. The TRY project was launched in 2014 with the ambitious goal of achieving “energy sovereignty” for Yackandandah by 2022 through 100% renewables. Yackandandah is situated some 22 kilometres away from the gaol by road. Indigo Power says it is now working with other sites across North East Victoria to install community owned solar power systems, generating more clean energy and delivering energy savings to local business. Later this year, the retailer will also provide members of the Yackandandah mini grid with the ability to trade electricity between households. Yackandandah’s postcode, 3749 (also incorporating Bruarong), is home to approximately 414 small scale solar power systems with a collective capacity of around 1.8MW. That’s a mighty effort from an area with a population of around 1,900 (Census 2016) – getting close to 950 watts of small scale solar capacity per capita. The Australian average is somewhere around the 350 watts mark.